I work with every sports team at a high school with limited space and facilities. By necessity, I have to get more done in less time. However, placing this emphasis on doing can cause a lot more harm than good. 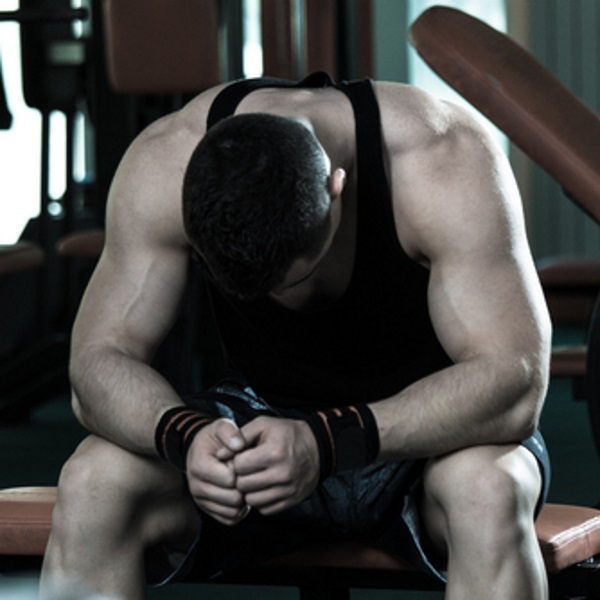 Many coaches and amateur lifters approach their allotted time as a test to see how many exercises can be finished in a certain period of time. By rushing the pace, you often miss out on quality reps. One good rep far outweighs five bad ones, but we often miss this. What must be understood is that not all work contributes to getting better. Running a mile doesn’t make your 40-yard dash faster—if anything, it might make you slower. You must train for the specific goals you want to attain. This is referred to as SAID (specific adaptations to imposed demands). A volleyball athlete needs power and strength, not a good mile time. In planning a workout for a power athlete, it’s important to lay a solid foundation and then progress to low reps and high weights, or high-rep speed movements on the strength and power end of the spectrum. Training for these goals requires complete rest between sets, anywhere from 2-5 minutes. There is no getting around it. This is how you get stronger and more powerful. If you have limited time, it is wise to use time between sets for maintenance band drills, terminal knee extensions, or dynamic mobility drills, which won’t fatigue the lift of focus. But athletes only hurt themselves when they emphasize getting 4 sets of heavy squats done in 8 minutes. This approach does not allow ATP and CP to be replenished in the body. Form will degrade, and by default the lift shifts from the strength power end of the spectrum to the hypertrophy end. The intent is good, but the outcome misses its goal by a mile. Maximum work in minimum time has its place, but only if it’s in line with your goals. It is a common assumption that athletes aren’t working hard unless they are hitting failure often. Many coaches believe their entire job in facilitating a lift is to ensure that each athlete hits failure on every set. I’ve seen programs have everyone at a rack lift off of the strongest athlete’s max so that time isn’t wasted switching weights (because remember, you’ve got to get more done in less time). Similarly, these programs will have another lift that is not correlated to a max. For example, the workout may be “3 sets of pull ups to failure – must hit at least 8.” What do you think the form will look like? Is the target muscle group and movement pattern being trained as the athletes flail around kicking their legs or having their partner push them up by their knees? Let me be clear: form is primary in every lift. No athlete can maintain a long-term program that constantly forces him or her to hit absolute failure. And it would not be a successful program even if he or she could, because it would fry the nervous system. Renowned trainer of the pros, Joe DeFranco, goes so far as to say that he will train an athlete for years without letting them hit failure on any lift. He actually programs weights at a max that is 5-10 percent less than what they performed in an adrenaline-filled max-out, because that adrenaline is not there in a day to day program. You could take this argument too far and miss your opportunity to train heavy and build a culture of toughness. This would also be a mistake. It is a sweet spot that must be found and takes an intelligent, mature coaching staff. There will still be grind-it-out, tough training sessions. However, they should never be at the expense of form or an intelligent plan. The last of the fatal flaws in the myth of “more is better” is the completely understandable idea that doing more, overall, is better. For example, if I do a workout in the morning and the afternoon, I will get better twice as fast. In our competitive world, it stands to reason that if there is a gap between where I am and where that person is, I need to put more hours in to catch up. The problem is that if a new lifter decides to lift seven days a week in his quest to get stronger, generally his body will be overtaxed and not build muscle as fast as someone lifting four days per week. The body is alarmed by the workout and becomes flooded with hormones to help overcome the challenge. Next the body enters the resistance phase and, if proper recovery is implemented, will grow better adapted to the specific stress that was incurred (SAID Principle). If the body is not allowed to recover and stress persists, the body enters the exhaustion phase and breaks down. That last phase is typified by the current epidemic of Tommy John among young pitchers. Nowadays, every parent seems to feel it is their job to be their young pitcher’s advertising company. They ignore the coach’s advice and instead, they pitch their son year-round, never even approaching the recommended four months off. His summer league pitch counts get dangerously high. In fall, he plays football during the week and then pitches on weekends. Finally, after not once allowing for rest periods or maintenance programs for his arm, the parents are shocked to hear he has a tear in his UCL. So if you do have a gap in performance that you want to bridge and you are willing to work tenaciously towards your goal, how do you accomplish this goal? First, consult a qualified trainer with a sports performance certification. Have him or her make a clear plan that progresses intelligently and takes your specific needs and restrictions into account. The plan should address power and strength, but also speed, agility, reaction, balance, injury reduction, and mobility. Mobility may be the one instance where more is better. It helps speed and recovery and should be worked on habitually a few times a day for the best results. Next, make sure that you are eating correctly. More fruits and vegetables are almost always a good thing. Many athletes are unaware that they require many more quality calories to reach their goals. Get the best recovery you can. Take time to foam roll, find hobbies that help remove stress, and sleep 8-10 hours each night. Remember that most of the strength and positive body adaptations take place during recovery, especially during sleep. Do these things and you are likely to avoid injury or burn-out. You will build healthy habits that will benefit you for a lifetime and be far more successful in chasing your athletic goals. While I commend coaches who emphasize work ethic, planning and remaining true to the fundamentals are essential. We live in a reactive society, driven to do everything, all the time. Most athletes would be far better served by a simple plan with a disciplined focus on tempo, rest intervals, and form. Workouts don’t need to be complicated, and doing more will not get you more. A far better approach is to do less, but do it better. Be consistent, focus on the essentials, and find ways to bring an enthusiasm to your work. This is the secret behind making amazing improvements.